The flag of Indonesia may strongly resemble that of several other nations, but the design used for the Indonesia flag comes from the nation's history rather than any effort to draw inspiration from foreign designs. The flag is a celebration of the nation's independence from the Netherlands that reflects its long history and heritage as an independent nation from the time before the colonial era. The national flag of Indonesia, which is known as Sang Saka Merah Putih ("The Red and White") in Indonesian, is based on the flag of the 13th century Majapahit empire. The flag itself was introduced and hoisted in public at the Indonesian Independence Day ceremony, on 17 August 1945. The design of the flag has remained the same ever since. Red represents courage, while white represents purity of intent. 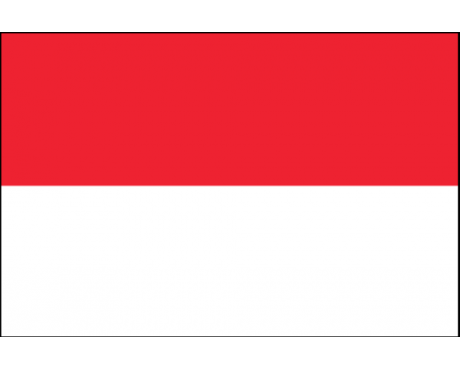 The flag of Indonesia is a horizontal bicolor of red and white. The red band represents the courage and blood of the Indonesian people, while the white band represents purity and the spirits of the people. The colors are also symbols of the nation's history because they come from the ancient Majapahit Empire that once ruled over all of Indonesia. It is likely that the Empire took the colors from the mythology of the Indonesian people and its neighbors, which strengthens their identity as a symbol of the people. Some modern sources also link the two colors to those of palm sugar and rice, which are the cornerstones of most Indonesian cuisine. The modern Indonesia flag was adopted in 1945 when the Indonesian people declared their independence from the Netherlands. The flag received formal recognition as the symbol of Indonesia from other nations when the revolutionary movement succeeded in its goal in 1950. 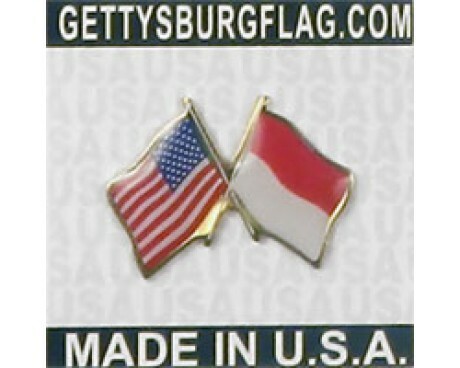 There are two stories that explain the origins of the flag. Some sources say that the modern design came from the Dutch flag, which was used in place of a native symbol during the colonial period. These sources say that Indonesians tore the Dutch flag apart as an active of protest during the independence movement. They tore the bottom stripe off of the Dutch flag, and used the remainder to represent themselves. There are several recorded instances of Dutch flags being torn in protest, but they cannot be conclusively shown as the flag's origin. 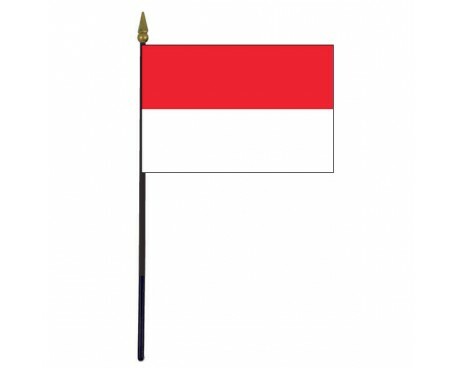 Other sources note that red and white have represented Indonesia since the Majapahit Empire of the 13th century. 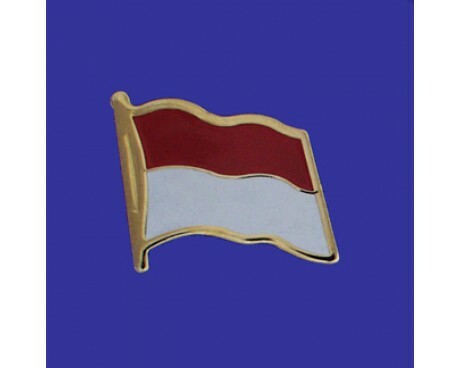 These colors were used by Indonesian nationalists in honor of that tradition when they wanted to express their opposition to Dutch rule, and the banners of the independence movement likely evolved into the modern flag. It is likely that the flag's true origin is a mixture of the two stories. The Dutch flags were destroyed in protest, and then used as a symbol of defiance because they already displayed the Indonesia colors.